Only through honest and open conversation can we reach students and give them the information they need to make better, informed decisions. Whether we choose to admit it or not, alcohol and drugs are on campus and the exposure to them often leads to substance abuse and can be a detrimental part of the college experience. Only through honest and open conversation can we reach students and give them the information they need to make better, informed decisions. Bobby’s non-judgmental approach focuses on providing factual information combined with real-world scenarios relating to the experience of today’s college student. Bobby answers the questions you were too afraid to ask with expertise and appropriate humor, engaging audiences in “real talk” about alcohol, drugs and the associated risks and consequences. 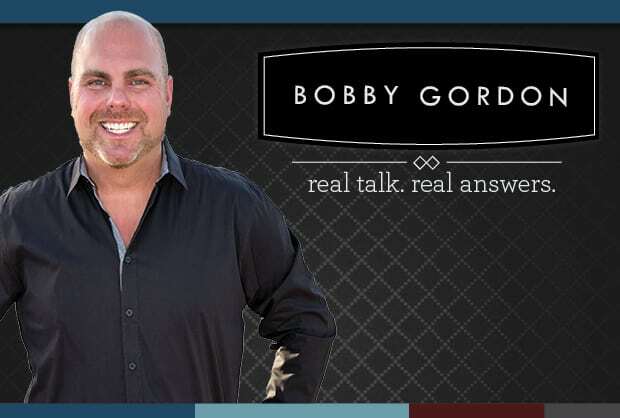 Bobby Gordon is an award-winning advocate for alcohol & other drug education, research and prevention. In his nearly 20 year career, Bobby has partnered with communities, federal agencies, professional organizations and local and state law enforcement to develop, create, advise and assess a variety alcohol & other drug prevention programs. His expertise includes social normative media, federal grant projects, evidenced-based prevention and curriculum development. His work spans organizations like Major League Baseball (MLB), BACCHUS Network, Association of Fraternity/Sorority Advisors, U.S. Department of Justice and the Greater Cleveland Club Drugs Task Force. Bobby proudly served in Higher Education on the Board of the Coalition of Higher Education Associations for Substance Abuse Prevention from 1997-2010. Bobby holds an MBA from the University of Arizona and a Masters in Counseling & Educational Leadership from Eastern Michigan University. He completed his undergrad at Muskingum College with a B.A. in psychology. Excited to be a part of this year's line up @AFLV West with my @CAMPUSPEAK speakers! Check out my presentation on Friday afternoon! College alcohol and drug abuse is a real issue. Students are faced with pressure from peers to fit in, coping with high levels of stress, or they just have general curiosity as they experiment with their newfound independence. Abuse of opioids, prescriptions, and other drugs increasingly presents risks and negative consequences for students and the campus community. Despite best intentions by campus administrators, drug education and prevention programs are often overshadowed by a focus on alcohol-only education. Bobby challenges perceptions and clarifies myths and facts surrounding drugs beyond alcohol including opioids, cocaine, marijuana, ecstasy/molly, predatory drugs, and prescription drug abuse. Instead of lecturing with technical medical information or using scare-tactics, Bobby incorporates real-world scenarios, facts and culturally relevant media to help students challenge their perceptions and make informed decisions. how different types of drugs can negatively impact the mind and body.